Burnt vehicle electronic modules are normally hopeless cases, you would think. Before you toss the part in the bin maybe we can help, memory parts are robust in heat situations, unlike water. Burning will not normally be the death of the memory parts, unless of course it is a total inferno or the software has become damaged due to a short circuit. 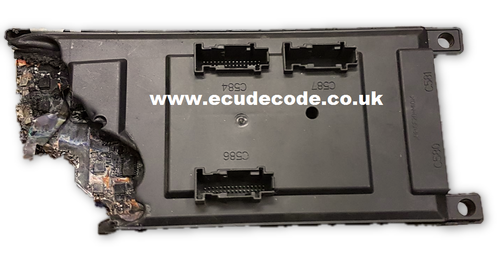 Below is an example of a Land Rover BCU we were able to extract the original vehicle data from and program into another used part. This enabled a fully functional vehicle. Obviously the cause of the burn needs to be nailed along with the wiring repairs.